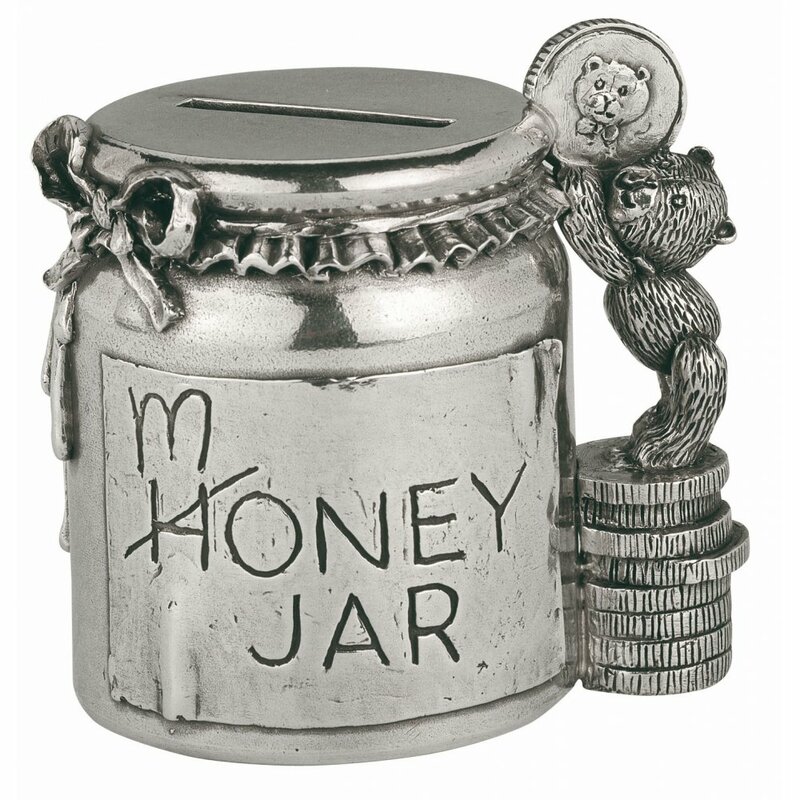 This sweet little honey jar turned money jar comes complete with the letter H in the word Honey crossed out and replaced with the letter M, to spell Money. At the side, standing on a pile of money, a teddy bear with a coin in his paw peers over the top. would make a special gift for a Christening or Birthday.